To her friends, she was “Our Nell”; to her detractors, she was the “Hyena in petticoats”. She was Nellie McClung, a leading political figure in Canada who fought tirelessly for a more compassionate Canada. With her “funny but tough” approach to issues, she fought for women’s rights, child protection, the rights of immigrants, and prohibition. When she wasn’t striking fear in the hearts of the status quo, it was in this house that she wrote, baked, and held secret political meetings disguised as tea parties. 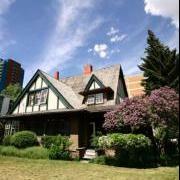 Built in 1907 by Harry Woodburn Blaylock (a barrister) this residence is most significantly remembered for having been the home of Nellie McClung, the noted champion of women's rights, between 1923 and 1932. The home was designated a Provincial Historic Resource in 1978. 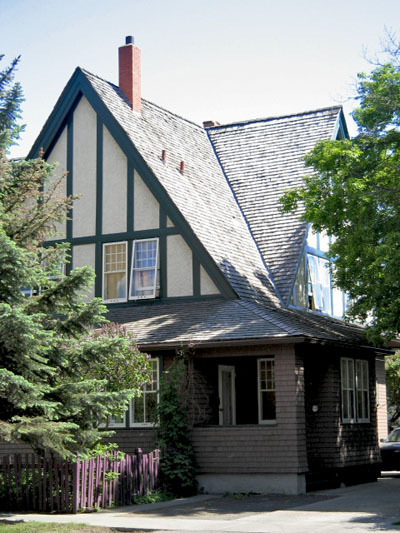 Initially addressed 1501 7 Street SW, the home is Tudor Revival in design, but tailored to meet the limitations of a residential building. 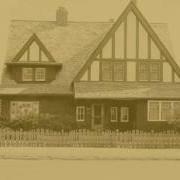 The McClung house represents the exclusive, upper-class homes built in the Connaught neighborhood prior to the expansive boom in 1912. 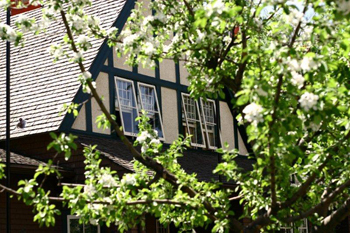 Owned by a series of professionals, including Nellie McClung and her husband Robert Wesley McClung, the two and a half storey structure is characterized by its gabled roof, half-timbered detailing, and decorative chimneys. Wood shingles on the lower level and long open galleries on two facades (now enclosed) add to its elegant exterior presentation. A glass conservatory on the south side was known by McClung as the "Ivy Room" because of the many trailing plants she cultivated. 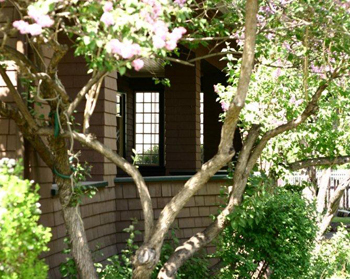 Situated on almost half an acre, the property was recognized for its elaborate garden. The rectangular floor plan of the home is still evident despite modification, as are interior details that define the Victorian charm of the house. Still intact are the dark stained woodwork, the central staircase (which is marked by newel posts and Art Nouveau lamps), and the Arts and Crafts fireplaces. 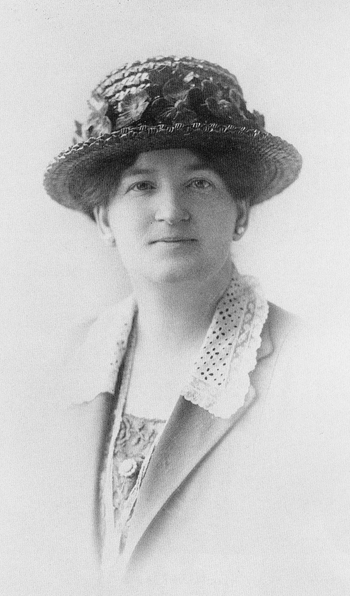 McClung began her political career in Winnipeg when she and other Suffragettes staged a mock parliament (January 1914) to bring attention to the suffragette movement, in which they argued against giving men the vote. Her dead on and hilarious impression of then Manitoba Premier Roblin was widely regarded as what popularized the suffragette message. It was from the Suffragette movement that McClung learned to throw “Pink Teas”. These tea parties would feature entirely pink decorations and herbal teas for one reason… to scare away men. Once the men were scared off, the women would be free to discuss the advancement of the women’s rights movement without interruption. It is believed McClung held these teas throughout her life, including at McClung’s Calgary residence. McClung learned early through her activism and writing that charm and wit could convince more people than violence and agitation. She used the skills she’d learned as a suffragette to win and hold a riding in Edmonton from 1921-1926. 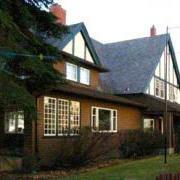 In 1923 she moved to Calgary, and split her time between Calgary and Edmonton. It didn’t take long for Nellie to become the talk of the town once she moved to Calgary. 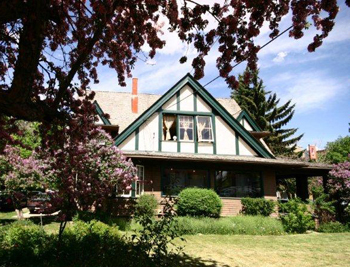 According to Betty Stovel McDonald, a Calgarian who grew up near the McClung’s, “Being the kind of person she was, she wouldn’t be able to spend long hours in the kitchen, as our mother did. Instead, after appeals to her for help, she was spending her time in other people’s kitchens trying to solve the problems of making their husbands pay the light bill, or buy groceries for the family.” (Calgary Herald 1993). But when McClung lost her 1926 re-election attempt, she retreated to her kitchen of this house saying “I got more comfort that day out of my cooking spree than I did from either my philosophy or religion”. Even though the Nellie McClung House has had different residential and commercial owners, it has remained largely unchanged. It was while residing at this house that McClung made her most well known and important contribution to Canada. In 1927 she joined together with 4 other notable Canadian women (later known as the “Famous 5”) to petition the Supreme Court of Canada for a clarification of “persons” in the constitution, arguing that women should be included as “persons” and given all the same rights as men. Women had already won the right to vote, property, and the ability to have custody of children – but the “persons” case went on to ensure true legal equality for women in every sense. The case was also instrumental in introducing the idea of the law as a “living tree” in Canada, and as such, subject to constant reinterpretation. While residing in the house, she continued her fight for women's rights and social reform. Some of her most significant literary works were written in her bedroom on the second level. She entertained frequently; her guests were nationally recognized authors, social reformers, and politicians. She wrote about her period of life in Calgary in her novel “The Stream Runs Fast”. -Yvonne Jeffrey, Calgary Herald, "Best of Alberta"